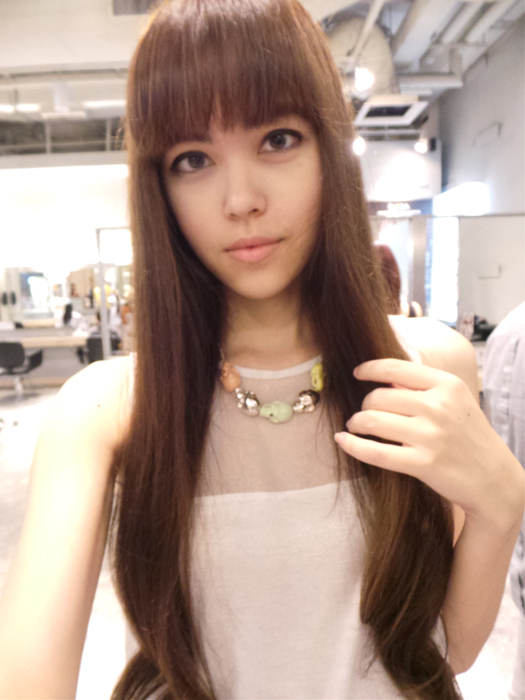 A picture from 2 past visits (click for left & right) to Salon Vim to show how good my hair looks after they handle it! For the left side I didn't even do treatment that day but it was still smooth & manageable. So one day I woke up with a bush instead of hair. Seriously that was a bad hair day. 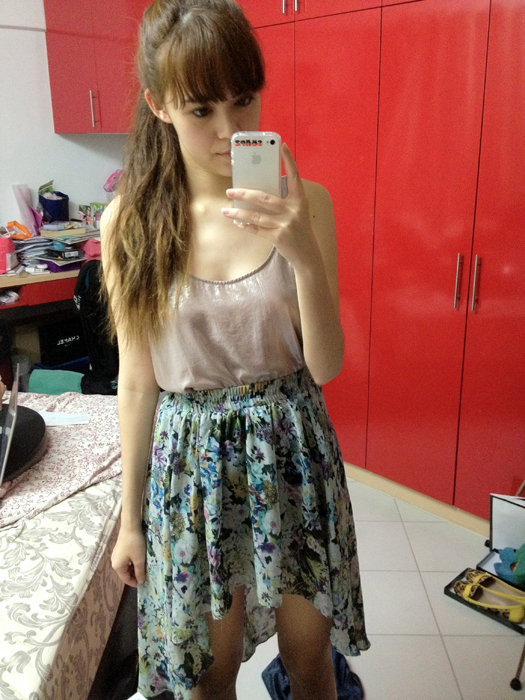 Headed down to Salon Vim the other day! I usually go to the 313 @ Somerset outlet but they also have a second outlet at Bugis now! 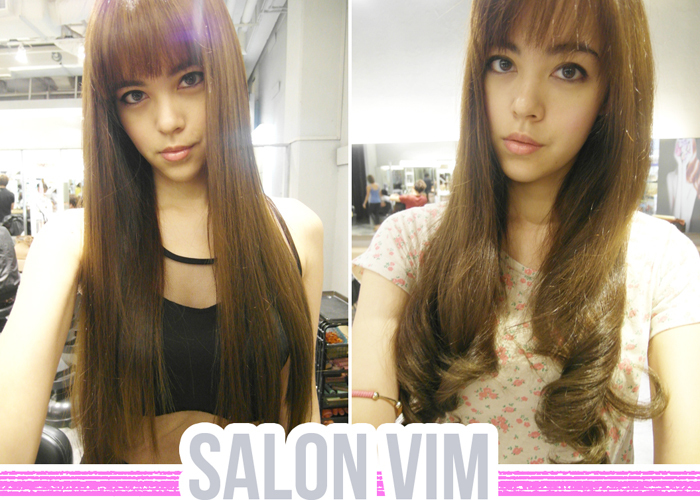 This is just one of the ways in which Salon Vim provides really good service. If you decide to go back regularly you'll be able to use the same stylist each time, so he/she will know you hair better! Like for me my hair is always handled by Stephanie & if she's not there I don't go lol. Did a new Redken treatment that day that focuses on strengthening your hair! And I don't even bleach my hair so if you do you should definitely consider treatments! Salon Vim also gave me Redken shampoo & hair mask dedicated to strengthening dyed hair! I know. Boring dark brown again hahaha. My hair always looks so much better after each visit! Super nice to touch because of the treatment! Hair still looking pretty healthy! Some of the flyaway-ness is coming back, but nothing compared to the frizz I first showed you guys. Quote my name to get 10% off all salon services for your first visit! 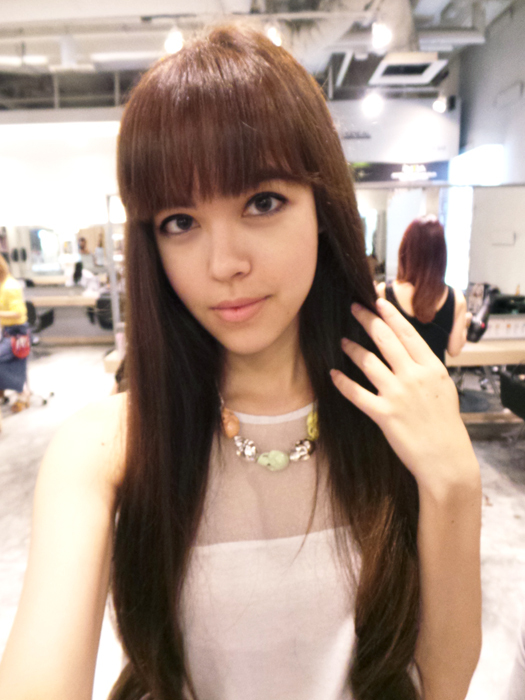 2 comments on "Salon Vim"
Would love to try to do my hair ar Salon Vim one day since there's 10% off for your customer. Everything you do/have I also feel like I must do/have cos I somehow trust ur judgement and reviews. Anyway the 'bush' hair you posted, I had that kind of hair the other time after i permed my hair. The chemical used to perm my hair make my hair damaged and look exactly like some china lady armpit. Seriously very very damaged, rough , frizzy and tangled. I lose alot of hair due to that. Managed to rebond my hair and trim my hair after that and my hair is better with the softness(thanks to treatments) and had less flyaway hair. Haha. Anyway i think you will look super good on rebonded hair. Not the super straight rebonding but try maybe doing soft rebond and ask the hairstylist to do a bit of big wave at ur hair end to make it look straight but not the flat straight rebonded type. If you get what I mean. I dont know i think you will look more prettier.